SSL certificates encrypt the data traffic between a web browser and a server, to guarantee the security and privacy of your visitors. Does your website contain sensitive information about its visitors, such as passwords and payment details? Then an SSL certificate is essential. What do you need to know about SSL certificates? An SSL certificate contains an asymmetric key, which allows your browser to verify the identity of the server on the other side. If the key marks the server as safe, the SSL encrypts the data itself with a symmetric key that secures the data traffic. Nobody can eavesdrop, because the sent data are only visible in your browser. Thanks to the encryption, you’re 100% sure that no one can eavesdrop, and that the data being sent between your web server and the computer of a visitor are only visible in the browser of the visitor. If you send sensitive information, such as passwords and payment details, it is essential. SSL certificates are based on trust. Every browser has by default root certificates from providers that are trusted by the worldwide Internet community. So it’s important to buy your SSL certificates from a trusted source, so your SSL certificate is considered safe by as many browsers as possible. n order to use SSL certificates, your web server must provide the right support. Standard web servers as Apache, Nginx, Tomcat or Lighttpd on Linux and IIS, Apache or Tomcat are suitable for it. The request of a certificate follows certain procedures. Does this sounds too complicated? We’d love to help. If you want, we’ll take care of the entire installation procedure. Different types of certificates are available. The technical protection is identical for all certificates, and they’re all a strong guarantee for your visitors. What’s different for each type, is the way in which the requester is identified. Nucleus offers several types of SSL certificates. A domain certificate only checks which domain owner performs a request. So the certificate does not identify who is the specific website owner within the domain. Domain certificates are suitable for applications in which the security of the data traffic is essential, but the identification is of less importance, such as in intranet applications. An organization certificate also checks the identity of the requester. As a result, you must prove who you are. For example with certificates from the municipal registry, or chamber of commerce. Organization SSL certificates are suitable for securing public websites. This type of certificate checks the identity of the requester thoroughly. In exchange for all the effort, your certificate will receive a special status. Visitors of your website will see a green icon in the address bar next to your company’s name. 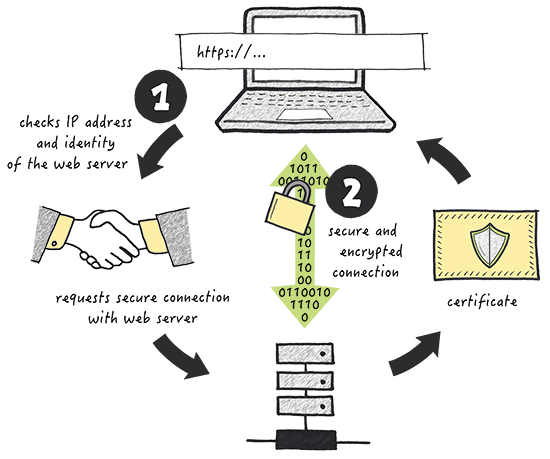 EV certificates are ideal for web shops, and websites that work with sensitive information like personal details and passwords. When you want to secure several subdomains, such as www.nucleus.be and order.nucleus.be, then it is best to use a wildcard SSL certificate. This is not only limited to full domain names, but also to several subdomains. A wildcard SSL certificate has the same security level as an organization SSL certificate. The price of SSL certificates depends on the type of certificate. Not sure what type of certificate to order? Contact us; we’d like to give you advice. Our experts are ready to answer all your questions regarding SSL certificates.